The issue of seafarers having contact with family and their connectivity is a hugely significant issue for the maritime industry. It has been stressed repeatedly that seafarers crave the connection that internet, calls, messaging can bring. A new study sheds more light on the problems and opportunities. Where even just a couple of years ago there was a clamour to simply be connected – now there are calls from seafarers for faster, cheaper and better service. Seafarers are becoming ever more discerning in what is an acceptable level of connectivity. 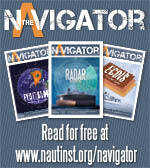 There is a clear hierarchy at sea between those ships that provide crew with internet access. Now though the discussions are evolving, it isn’t just about access now, but about cost and quality. Not all online connections are created equal! Today, even seafarers who receive free internet access are pressing for improvements. 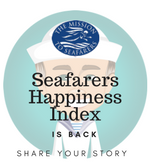 In the latest Seafarers Happiness Index report from the Mission to Seafarers, there are crews who claim the levels if free internet they receive are too low and are clamouring for increased bandwidth and data allowances. The shipboard connectivity genie is well and truly out of the bottle, and connectivity is incredibly addictive. Seafarers who experience the satisfaction of being connected always want more. The desire for ever more and greater connection mirrors experiences ashore. The more people have, the more they want. Indeed, there is a growing sense that until the provisions at sea reach some comparable level with ashore, then tensions will remain. Reliable internet available and reasonable priced satellite phone cards seem to be the absolute minimum that many seafarers demand. Seafarers without connectivity are seemingly amazed that they should be denied the access which so many people take for granted. In this age when the whole world is connected by high-speed Internet, only seafarers are left out. Even on ships where Internet is available, it is sometimes only at an insanely high price. In the latest studies, seafarers are making repeated demands to make internet access for seafarers’ compulsory on all ships. If and only, they said, all vessels were connected to the web, that would make seafarers even happier. A new study from the Royal Holloway University of London has been asking what seafarers think about connectivity, and according to Stuart Rivers of the Sailors Society, “what the seafarers they meet ask for most frequently and you’ll get the same answer: Wi-Fi”. According to the study, seafarers feel a sense of almost constant worry about the lack of control they have over when they can contact their families. Seafarers are stressed enough about work, without being doubly worried about when they will be able to be in touch with home. As one seafarer so bluntly put it: “The only thing that is more important than connectivity is food.” Which is an interesting point, because just like food, there are then issues about the quality of it and the preparation. So, as the study stresses, there is a need to understand the nuances of online connectivities – in its plural form – onboard ships to a much greater extent. For the participants in the Royal Holloway study, online does not simply mean online and connected does not simply mean connected. According to the seafarers studied, “connectivity” refers to, “multiple connections, networks, and relations that exist within and beyond the ship and it comes with a number of challenges and issues that need to be understood by shipping companies, charterers, agents, and welfare organisations”. Perhaps surprisingly, the issue of shipboard connectivity comes with pros and cons. Apparently one of the arguments for not providing onboard connectivity has been that it would disrupt work and rest patterns on ships. It seems that shipping companies fear seafarers won’t get enough sleep if they are tempted by online activities. So, while companies are happy to place the safety of lives, the environment and millions of dollars of assets in the hands of seafarers, but they fear them being tempted to stare for hours at Facebook and videos of cats. It seems there are trust issues at play here. The study found that the lack of reliable onboard internet is far more disruptive to onboard patters and life. 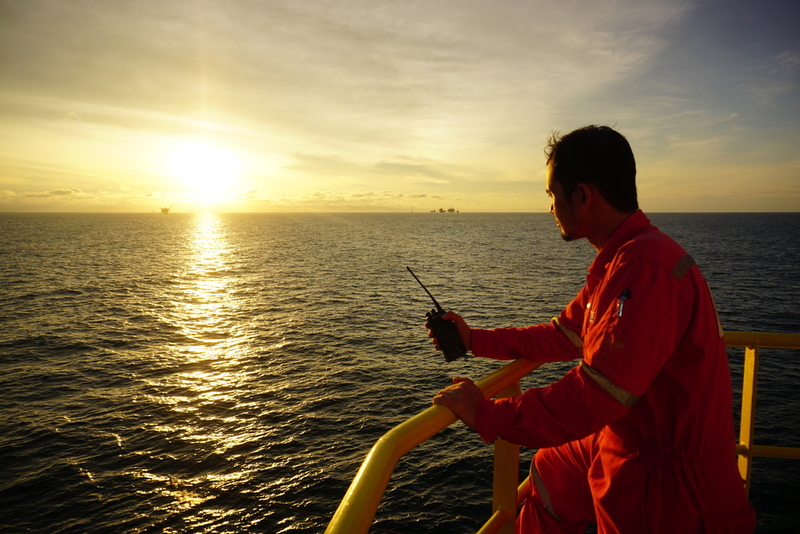 There is a rush to get mobile signals, so seafarers will desperately seek to connect when the ship is within mobile phone signal range, regardless of the time of day, external factors, work or rest hours. Giving seafarers the stability and certainty of contact with home removes all this. In addition, knowing that they will be able to connect whenever they choose stops the temptation to gorge on content. So, when it comes to work, rest and play, “instant, regular and stable” contact with family and friends helps build emotional resilience amongst seafarers. Stress of Craving Connectivity: Pressures related to the lack of reliable and sufficient digital connectivities amplify other pressures such as financial concerns, family strains, and isolation. Recruitment and Retention: Access to onboard connectivity is increasingly becoming a deciding factor in whether ‘young and talented individuals’ want to spend their lives at sea. 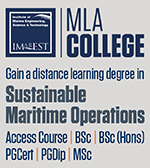 Seafarers would increasingly make career choices based on the ‘internet deal’. While a growing number of people were moving to companies which were seen to provide “better” internet facilities. Seafarers will leave to go to ships and companies they believe will give them the connectivity they crave. Rumour Mill Is Strong: There are almost constant rumours about the standards of connectivity on other ships or within other companies. Stories about the levels of connectivity on other ships have become a staple of shipboard conversation. Their verdicts, like any rumour, may not be grounded in fact. Seeing Is Believing: Messaging apps and platforms which allow video calls, such as FaceTime and Skype, are critical to maintaining intimate relations with family members, across sometimes large geographical distances. The ability to see people, especially children, through video calls was understood to be the most important aspect of digital connectivity. Time to Act Positively: Shipping companies should consider reducing the levels of restrictions and constraints imposed on internet usage onboard to allow seafarers to connect using an array of digital platforms. Educating Seafarers: There is a lack of understanding as to why it is not possible to have unlimited onboard internet access onboard ship, and of why certain limitations and restrictions related to onboard connectivity are imposed. Ensuring that seafarers are aware of the underlying reasons for such restrictions should be an essential part of future training and education. Where facts are few opinions are many, and the rumour mill begins to turn once more. Steady Wins the Game: Constantly moving in and out of connectivity disrupts sleep and work routines and could have a negative impact on crew wellness. More should therefore be done to even out the unevenness of digital connectivity onboard ships and across shipping companies. Connected and Social: Digital connectivity cannot and should not be understood as separate from the social life of seafarers. More work is needed to consider the relationship between online activities and social life onboard to improve crew wellness and social cohesion and to reduce emotional stresses and feelings of isolation among seafarers. Topics of Conversation: Connectivity and internet access are key discussion points in everyday conversations amongst crew members; during meal times, during socialising activities such as table tennis matches and online gaming, and during work shifts.